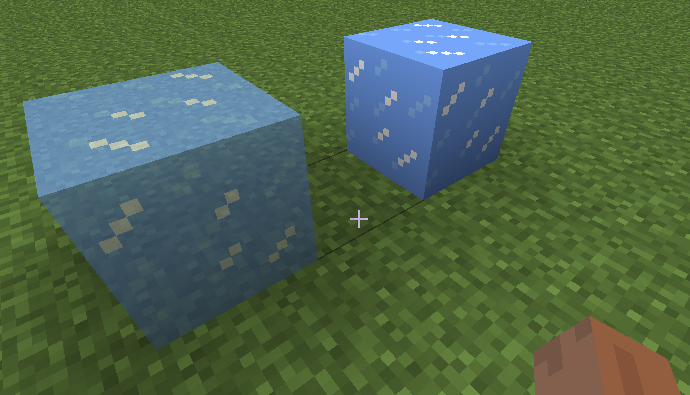 There are two types of transparency in Minecraft - see the picture below. The first type is "cutout" transparency, where each texel is either fully opaque or fully transparent. 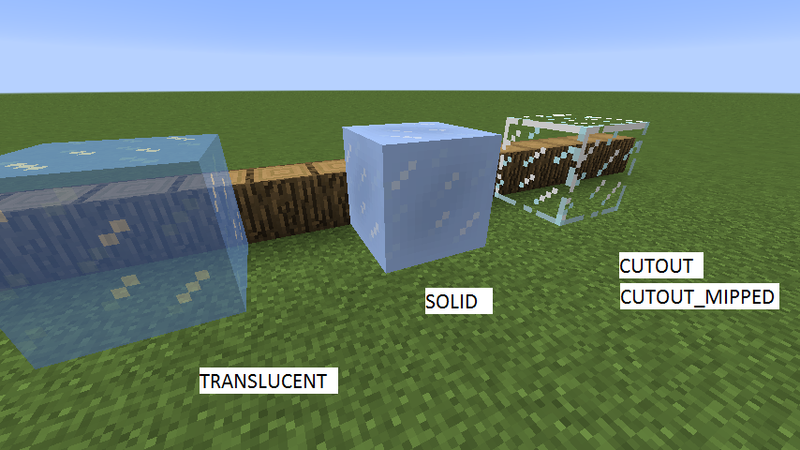 The second type is "translucent" transparency, where you can see a "blend" of the ice block and the blocks behind it. 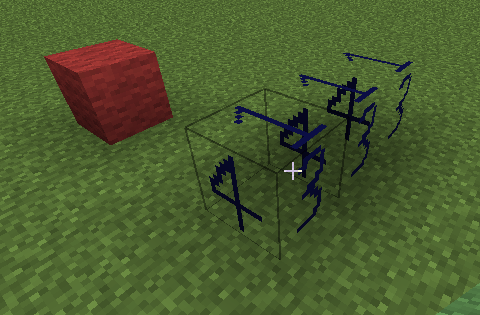 Rendering a block with "cutout" transparent sections (eg a block of glass) is relatively straightforward. Firstly, you need to create an image which has an alpha channel (a mask which indicates the transparent parts of the image). There are a number of programs around which can do transparency (alpha channel) properly, a good free one is GIMP. 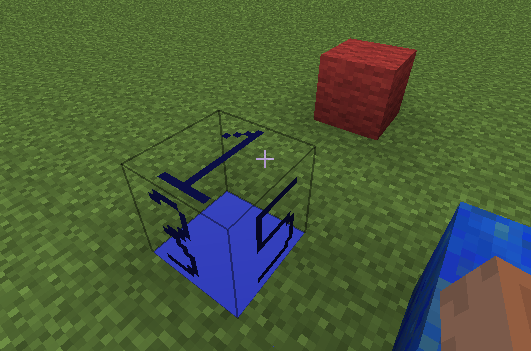 The image for block glass looks something like this. 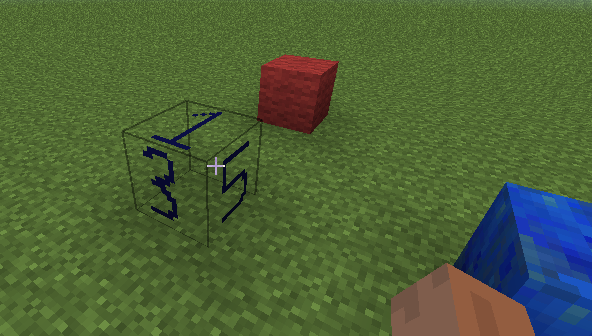 Secondly, your block needs to render in the CUTOUT or CUTOUT_MIPPED layer. See here for more information. The transparency is either on or off - a pixel is either fully transparent or fully opaque. For exampe - if your alpha channel has 50% transparency, it will be treated as opaque. The threshold is 10%. Ice rendered in TRANSLUCENT layer (left) or SOLID layer (right). The key difference is that TRANSLUCENT renders 25%, 50%, 75% transparency as partially transparent, whereas CUTOUT renders anything above 10% as fully opaque, and anything less as fully transparent. 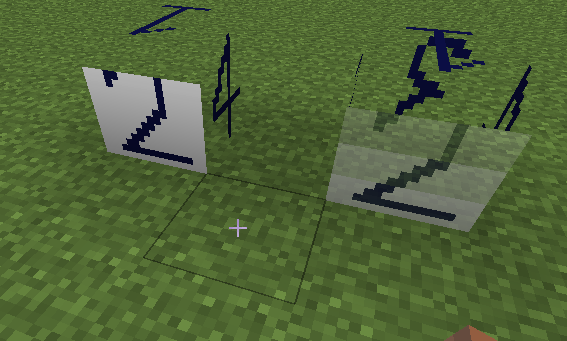 You can make blocks rendered in the TRANSLUCENT layer look the same as SOLID or CUTOUT if you have to, by choosing appropriate alpha channel values. 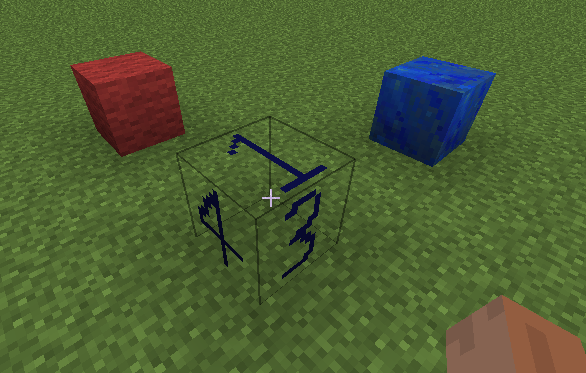 It is now possible to have blocks which render in multiple layers- see Block.canRenderInLayer(). How do you actually do this? Do you have any code? For example MBE03 uses CUTOUT.